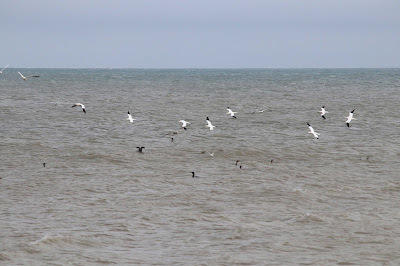 A calmer morning for a change but offshore passage was fairly limited with a flock of 44 Grey Geese (thought most likely to be Pink-feet), a Velvet Scoter, an Eider, a Great Northern Diver and two Mediterranean Gulls of note. 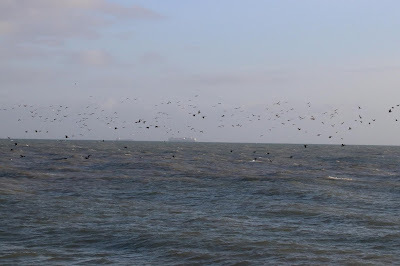 A Merlin was also hunting around the fishing boats. 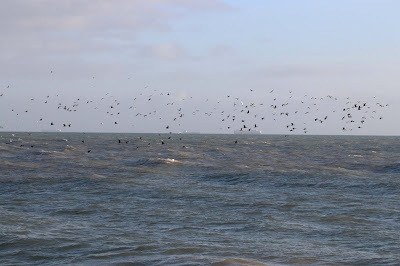 Another three Velvet Scoters were seen in the afternoon. 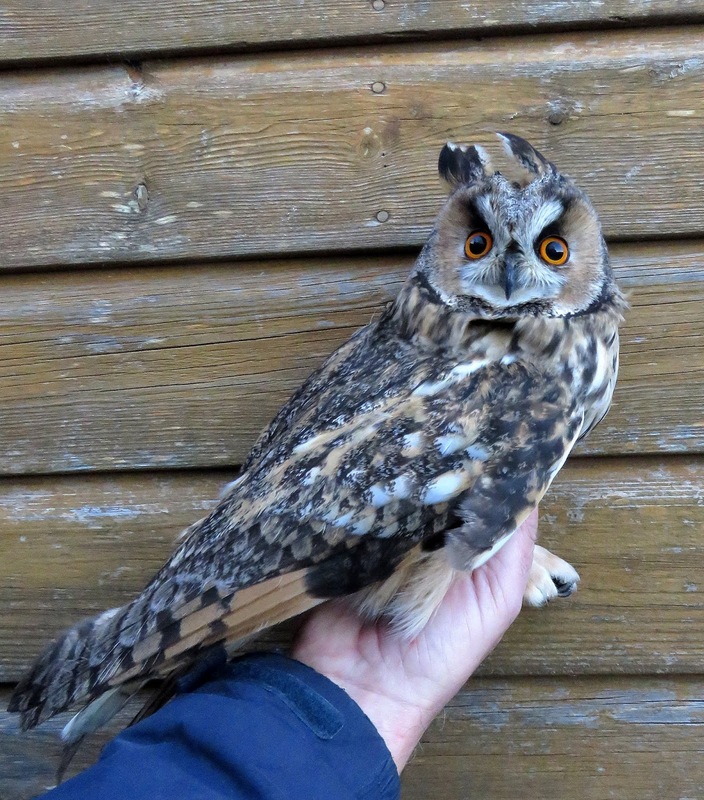 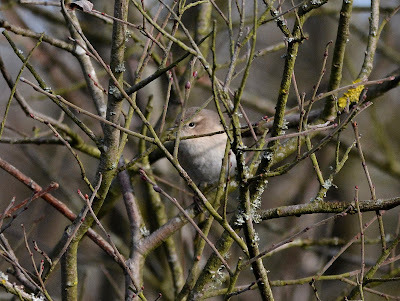 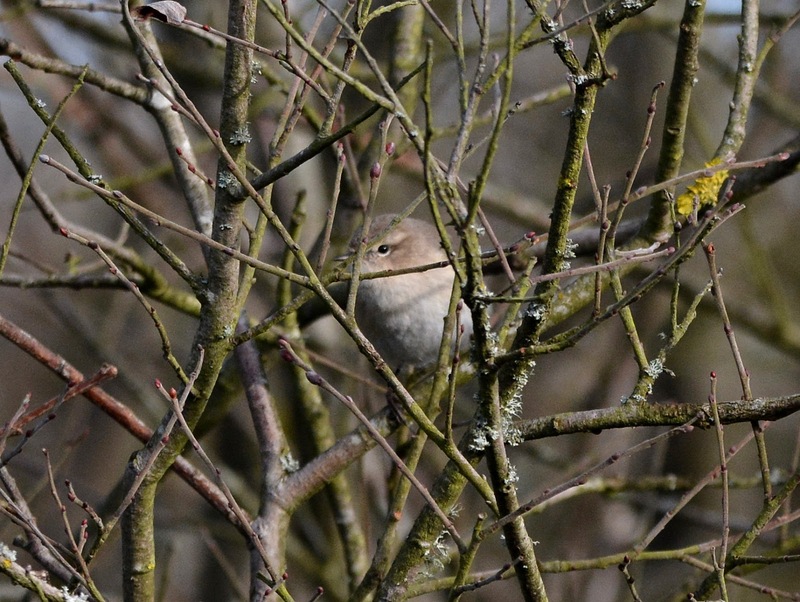 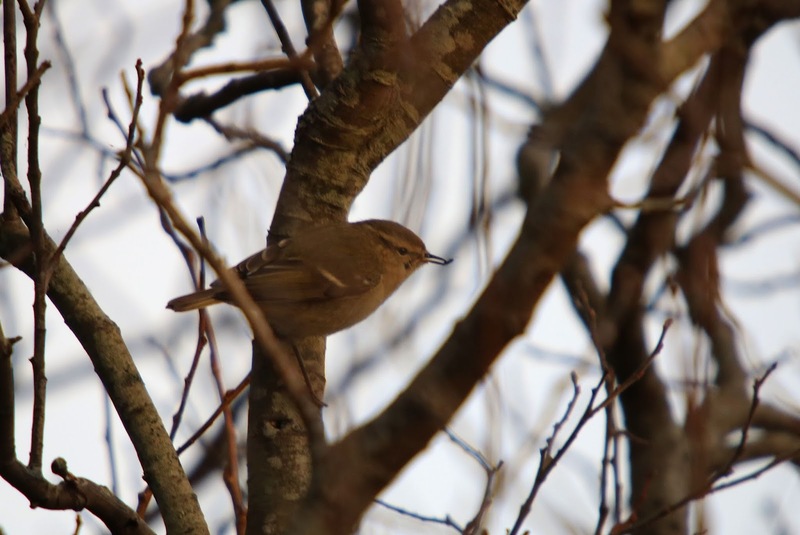 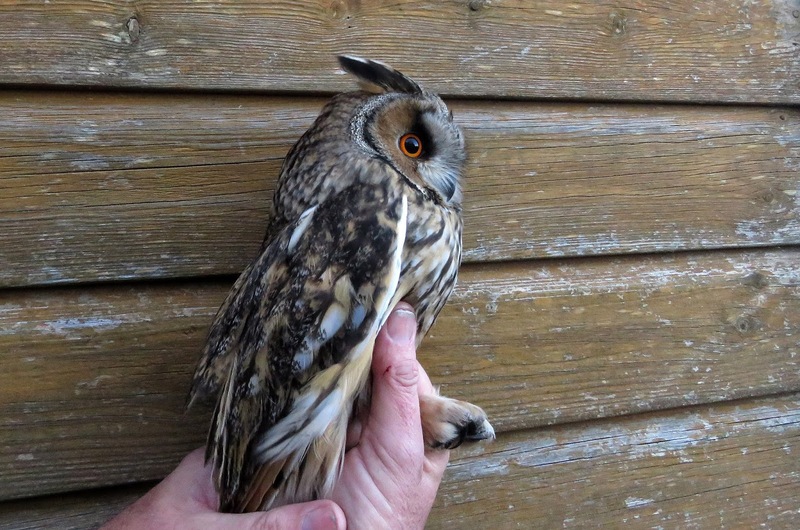 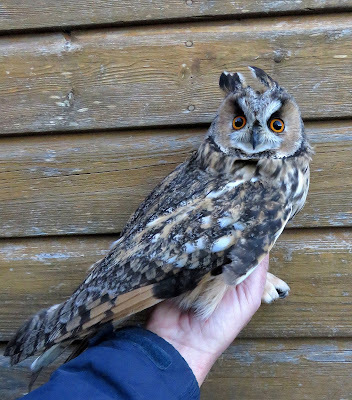 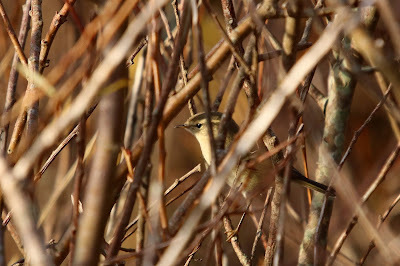 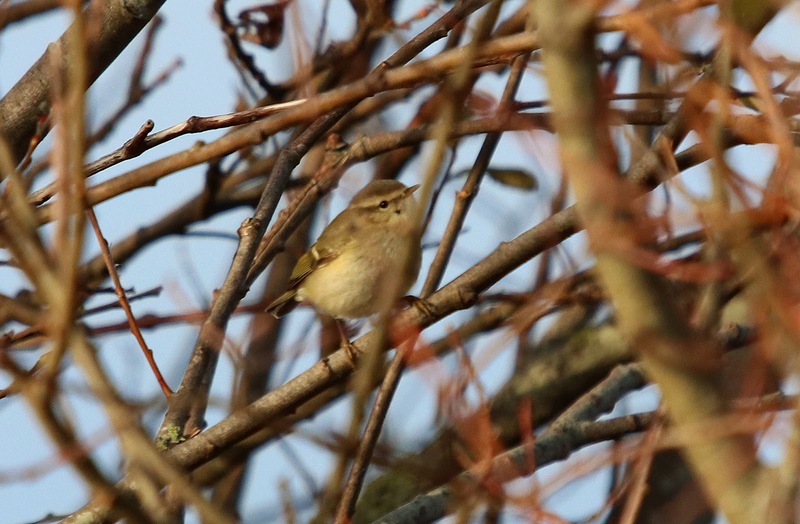 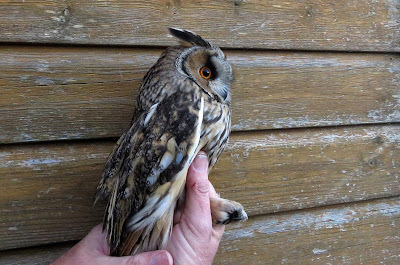 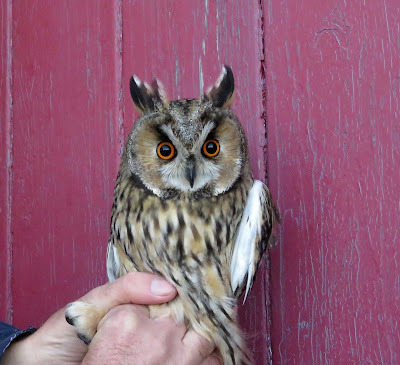 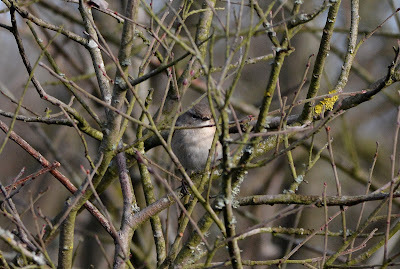 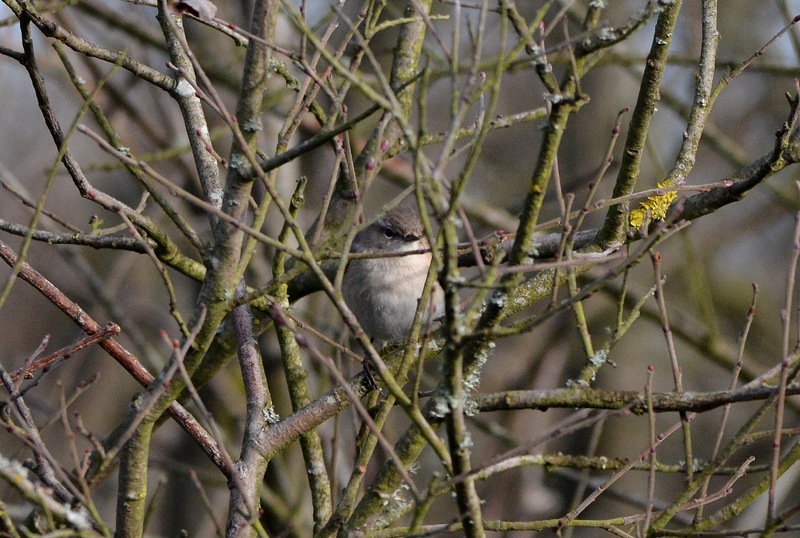 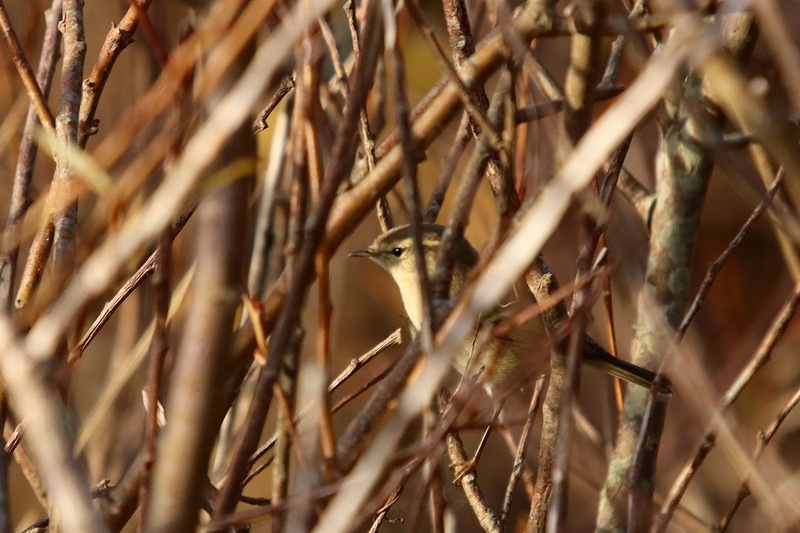 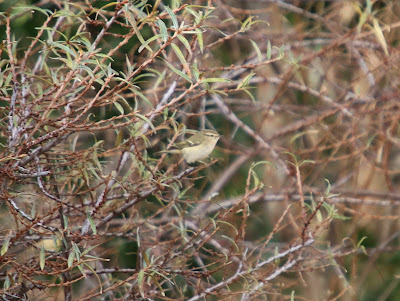 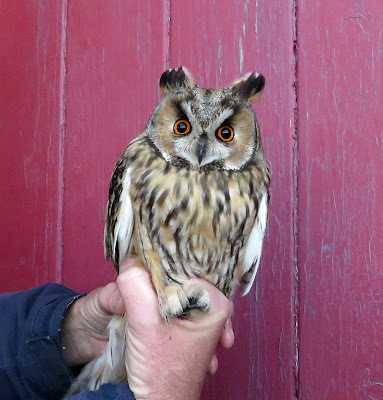 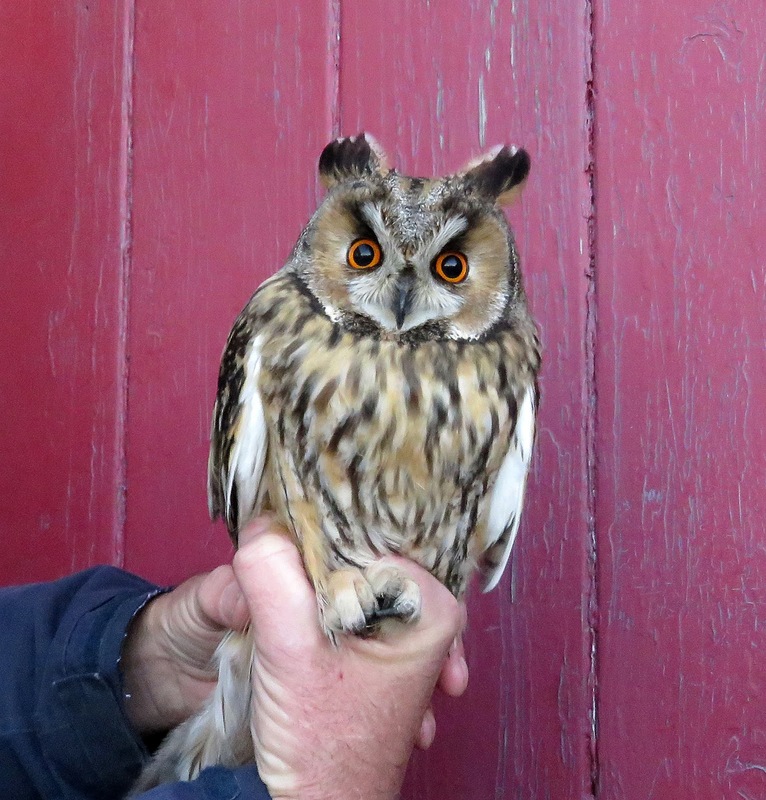 A check of the bushes produced a Woodcock, two Chiffchaffs, three Firecrests and 25 Goldcrests. Overhead passage was very light but included 20 Skylarks and a Siskin. A Porpoise, two Common Seals, and two Grey Seals were feeding offshore. 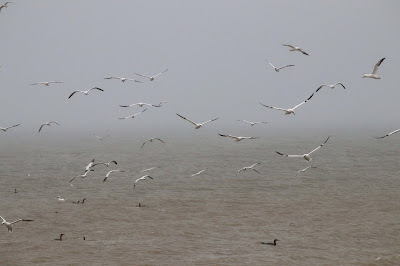 Elsewhere, geese and swans continue to provide most of the interest. Two Whooper Swans can still be seen in the fields behind Scotney Pit and up to five Bewick's Swans have been with the Mute Swans at Cockles Bridge. 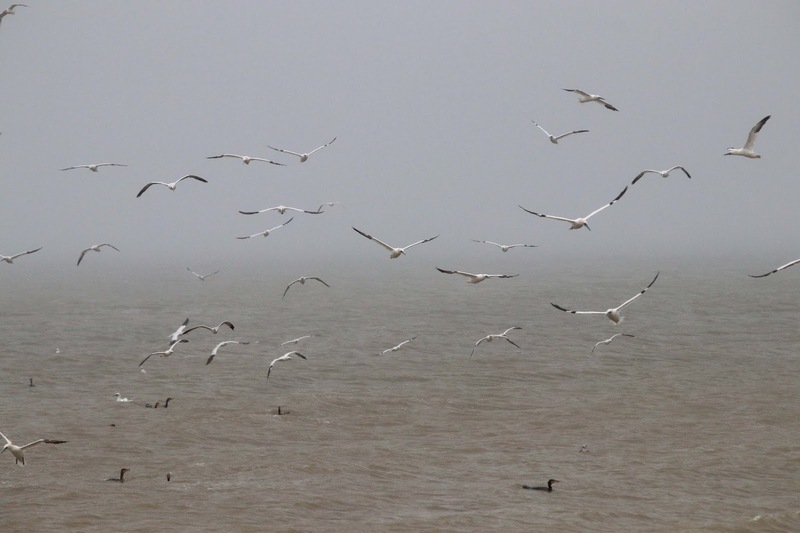 Nine Pink-footed Geese were also seen at Scotney today. The gull roost at Burrowes on the RSPB Reserve has been fairly quiet this week but this evening produced six Caspian Gulls. 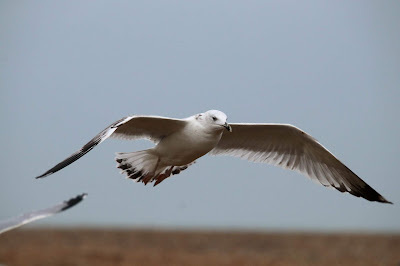 One Cattle Egret remains with the cattle in the fields alongside the RSPB Entrance Track. Another very windy day with almost all the coverage being on the seafront. 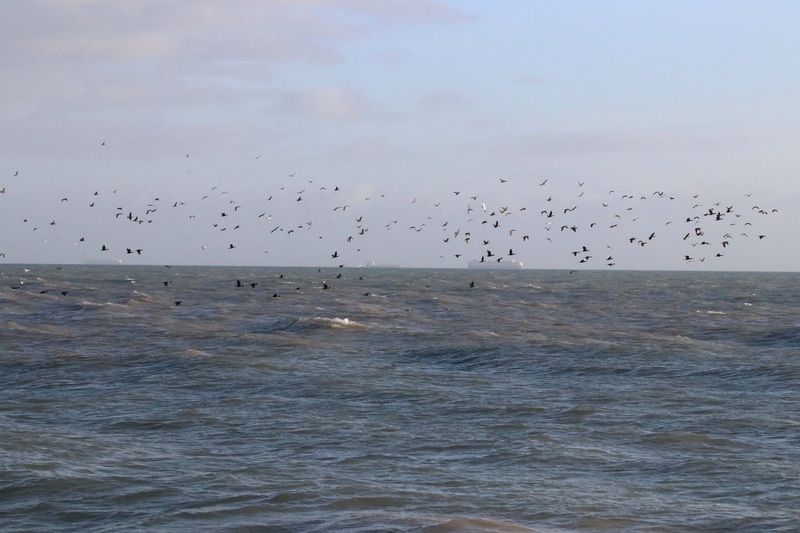 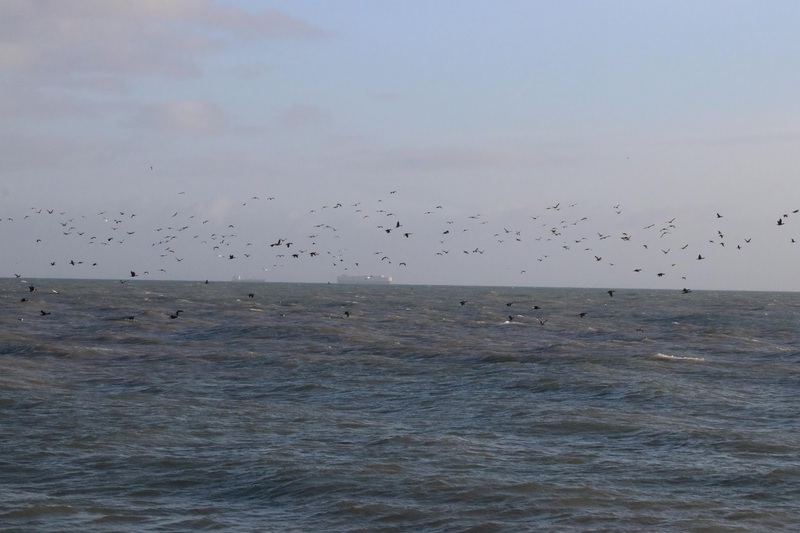 There was a steady westerly passage during the morning and with final totals of 98 Common Scoters, six Velvet Scoters, six Red-breasted Mergansers, seven Fulmars, 313 Gannets, 870 Cormorants and 547 Kittiwakes. 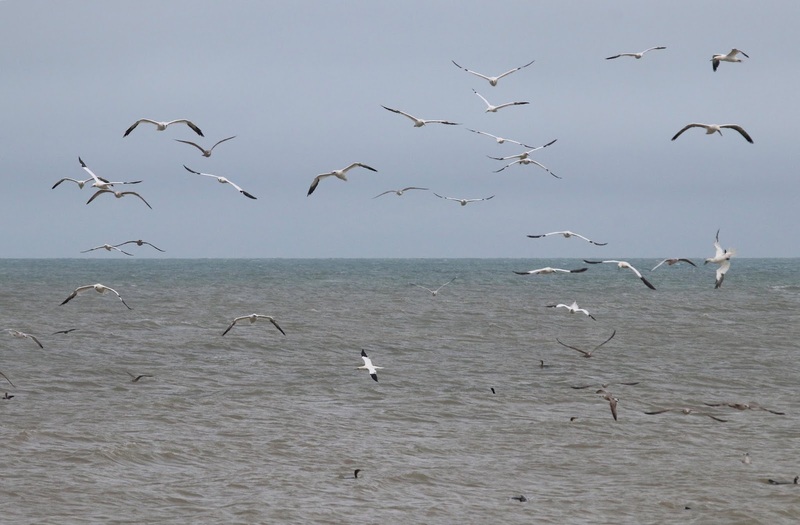 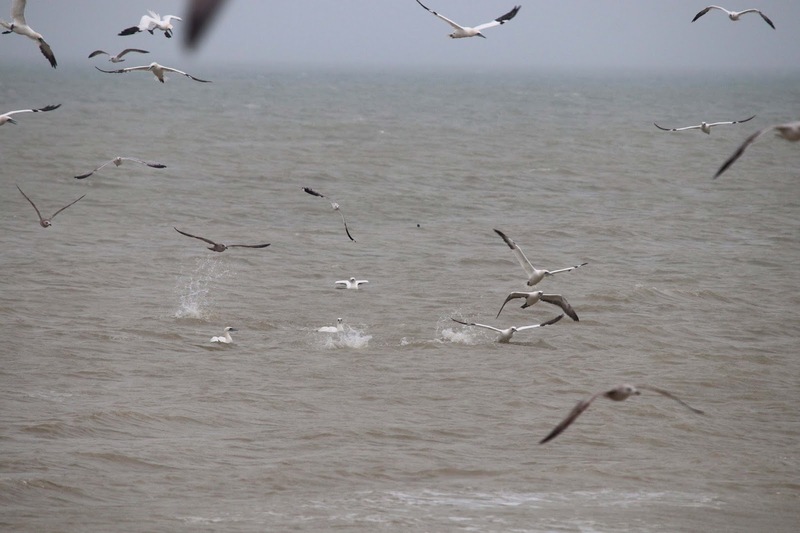 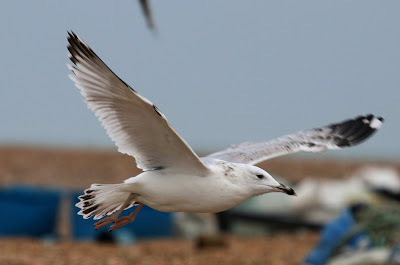 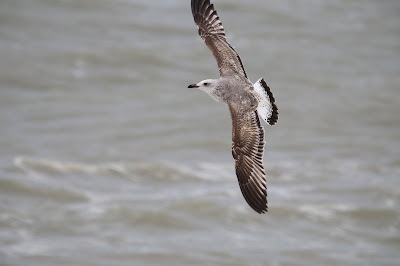 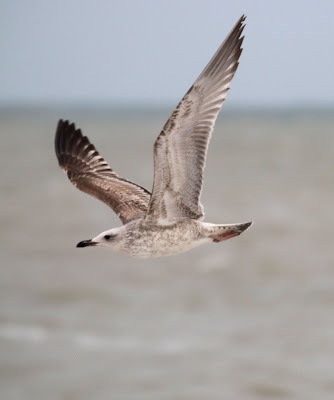 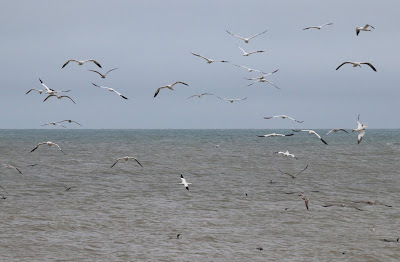 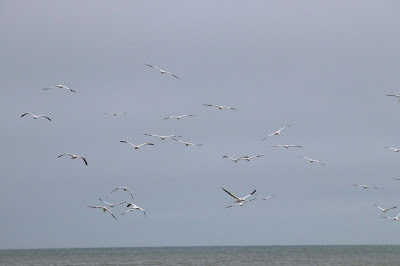 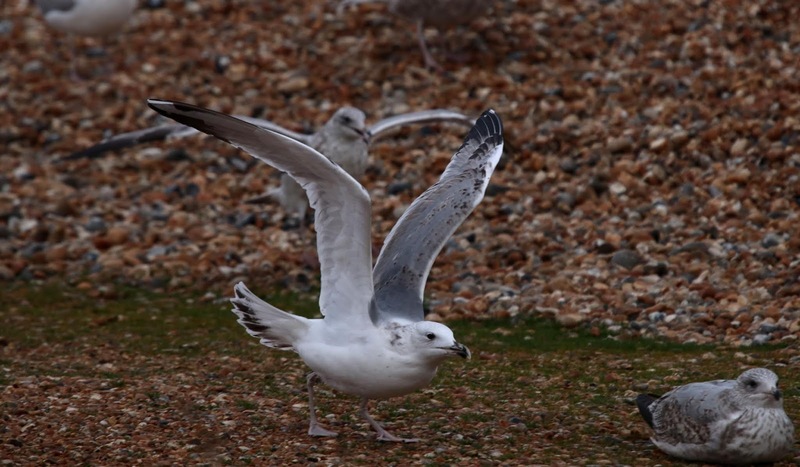 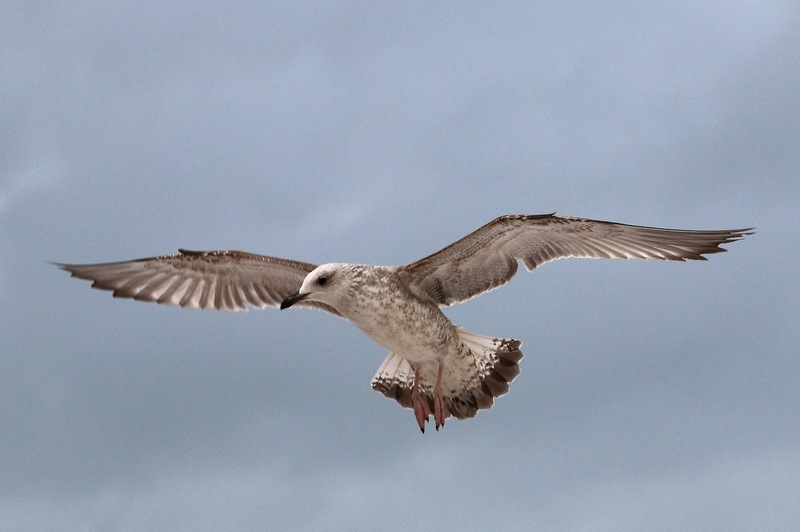 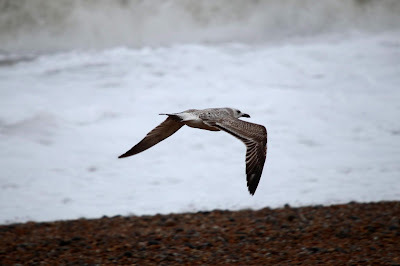 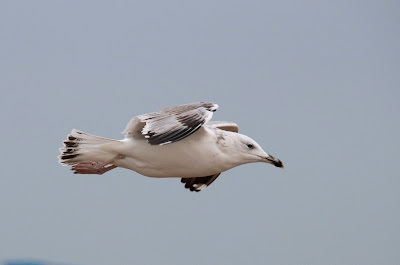 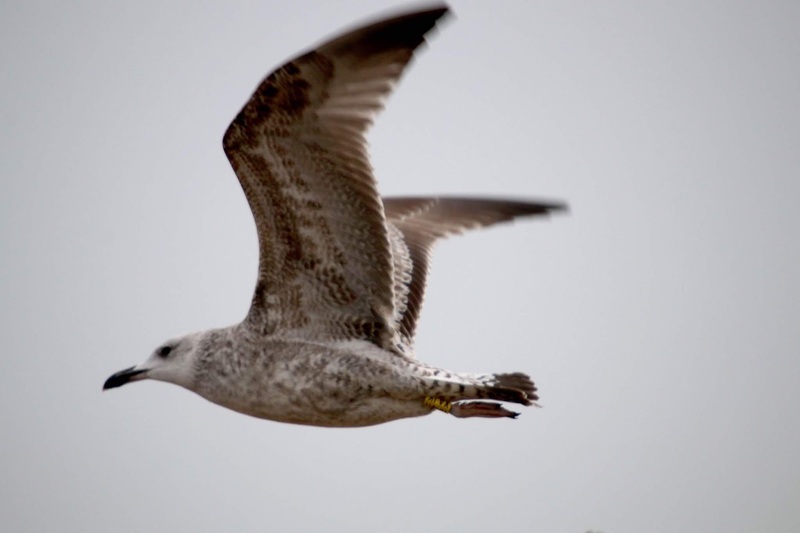 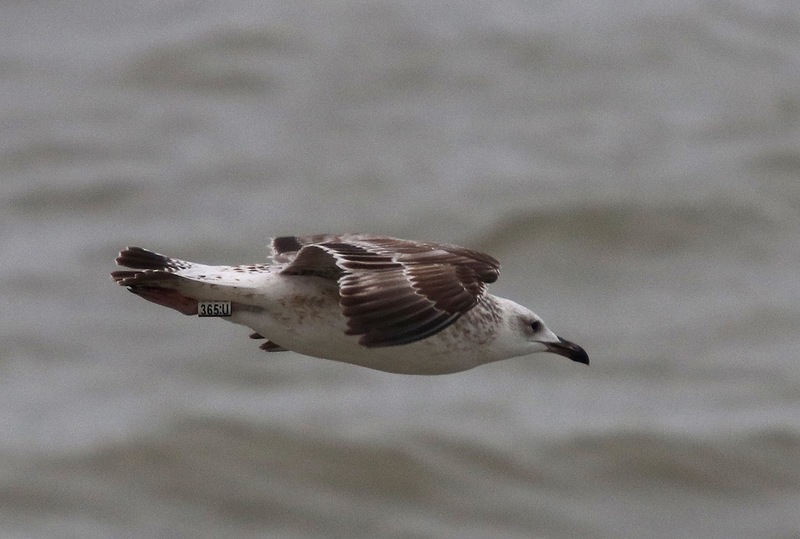 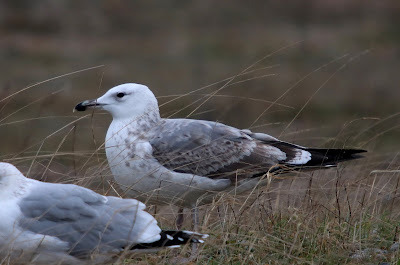 Two Caspian Gulls (at least one first-winter and a third-winter) were seen around the fishing boats. Two Common Seals and two Grey Seals were feeding offshore. 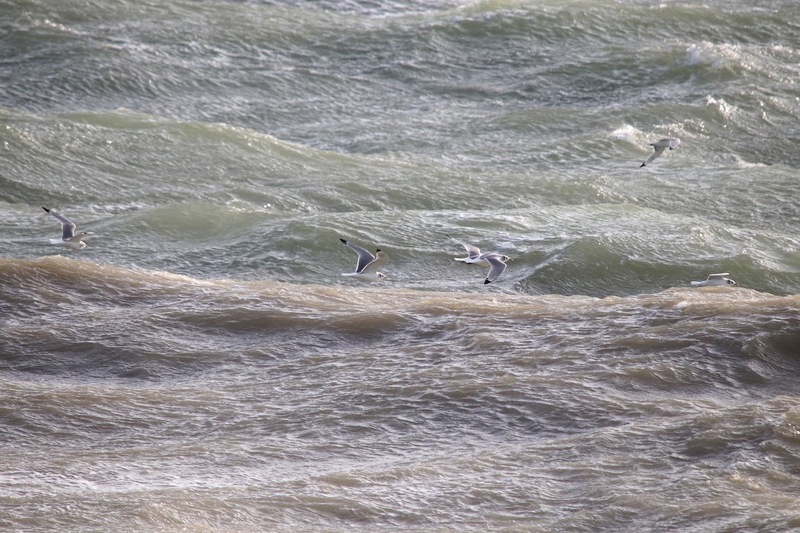 Another miserable day with strong to gale force winds and rain. 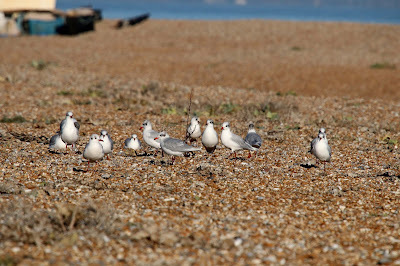 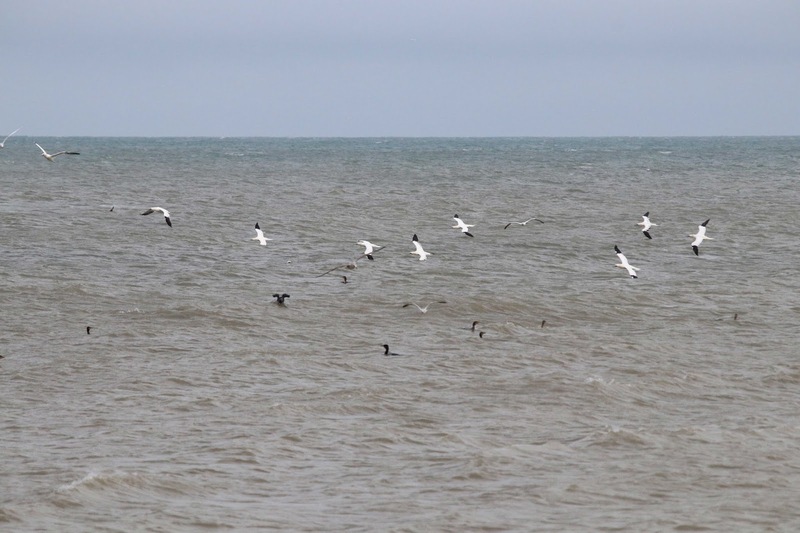 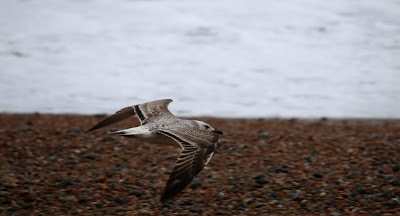 The only meaningful coverage was of the sea where a Velvet Scoter, seven Eiders and two Little Gulls were the only birds of note. 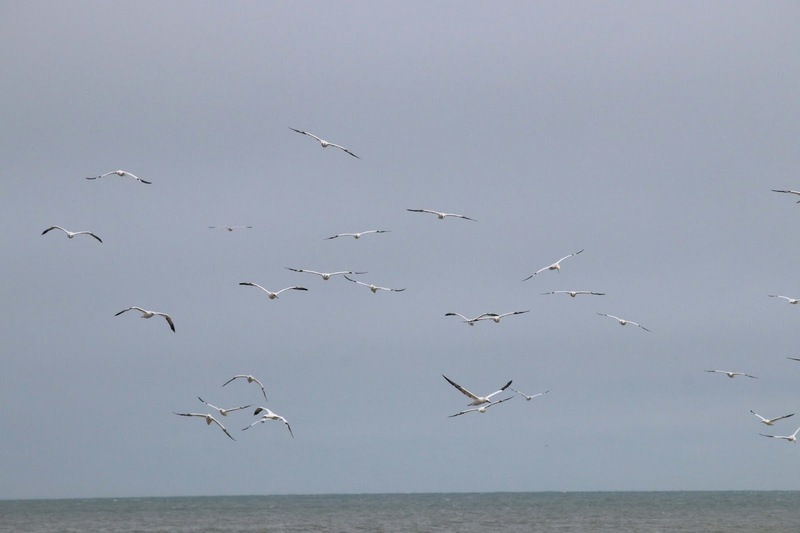 Limited coverage today. 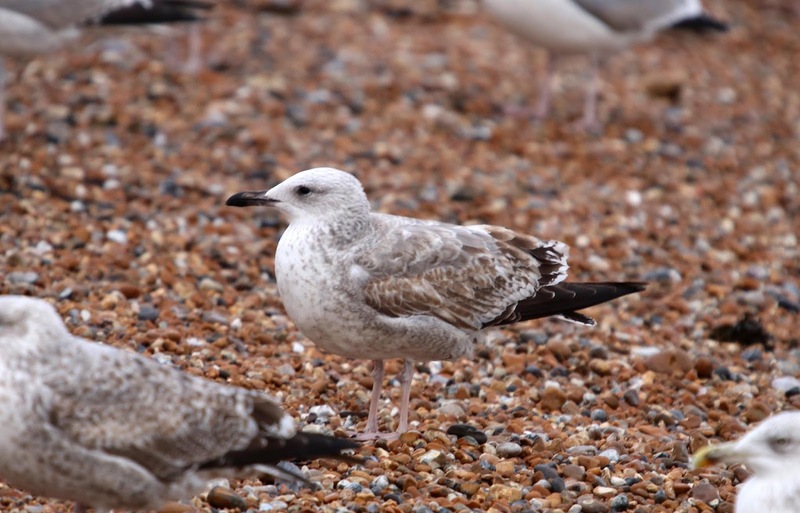 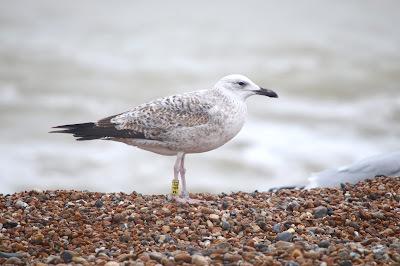 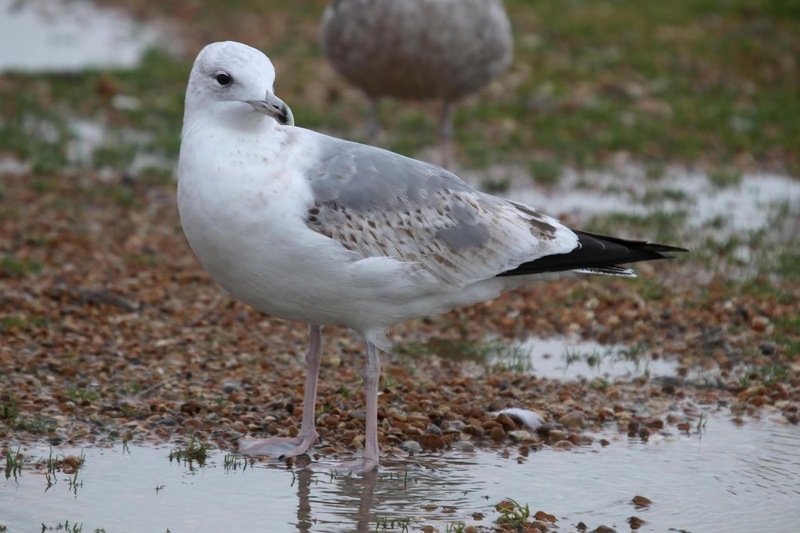 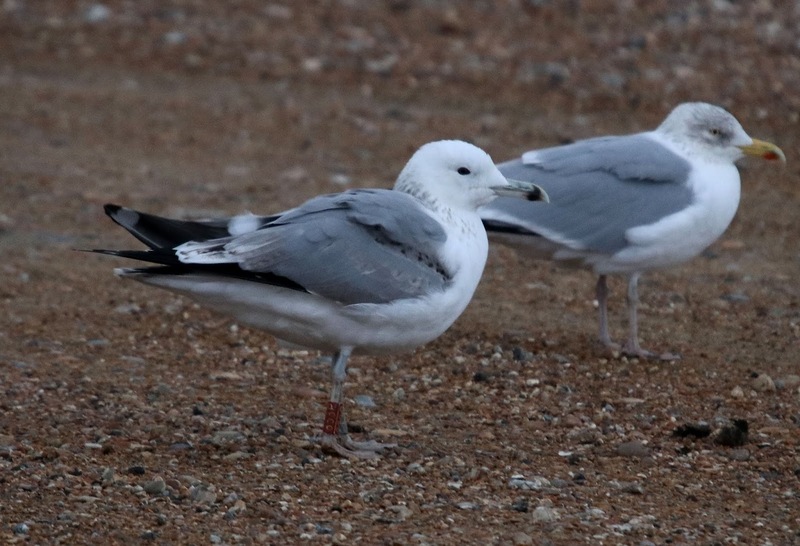 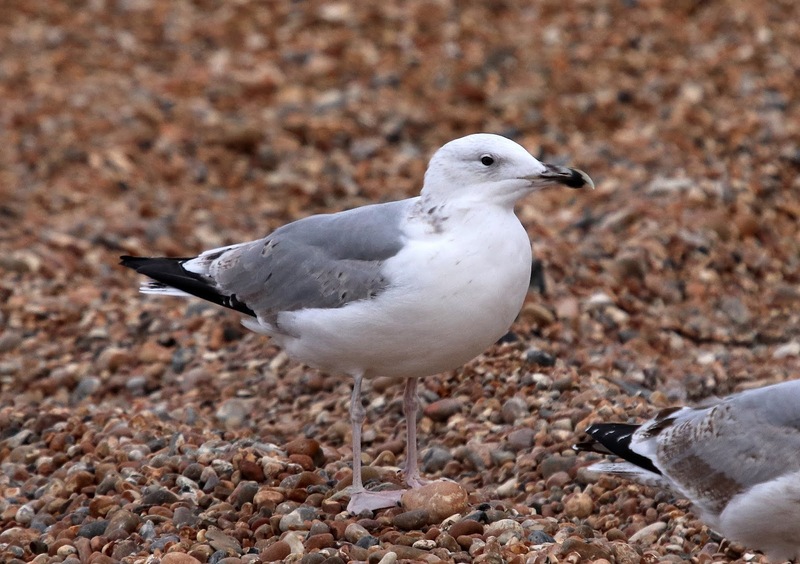 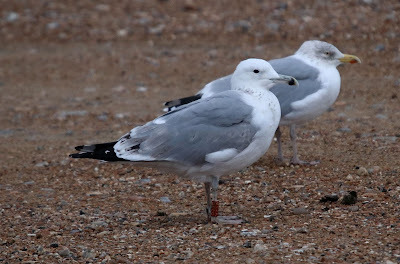 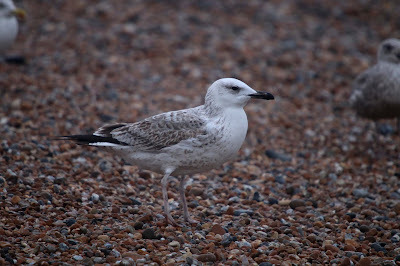 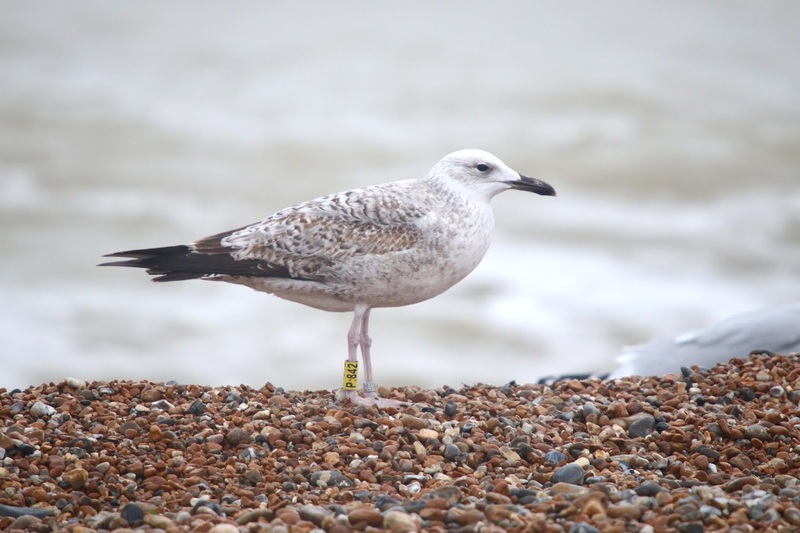 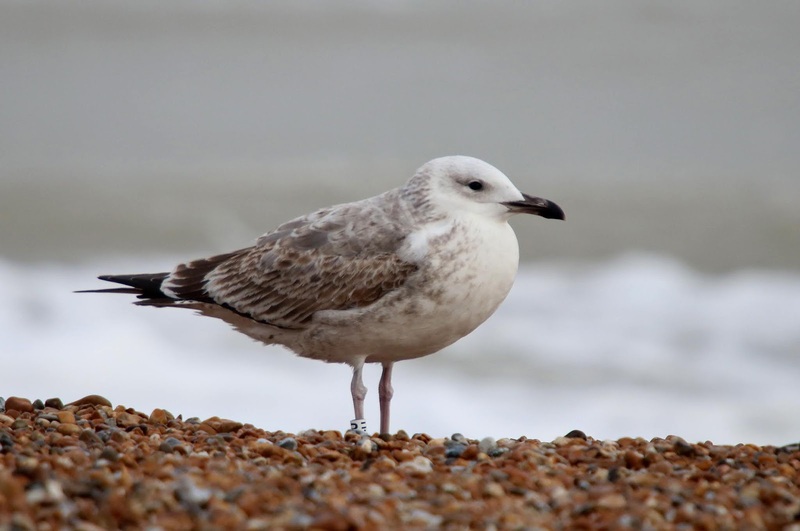 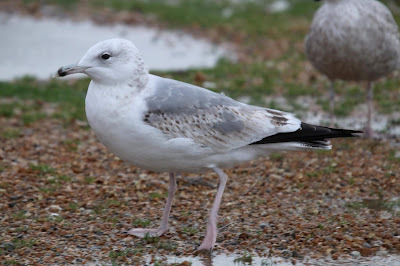 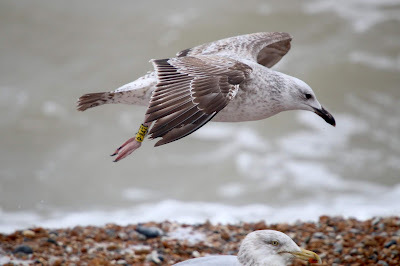 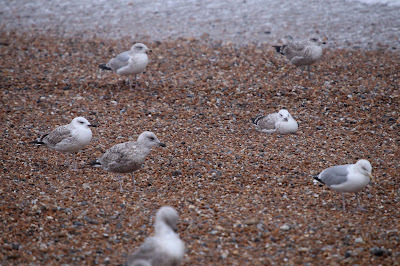 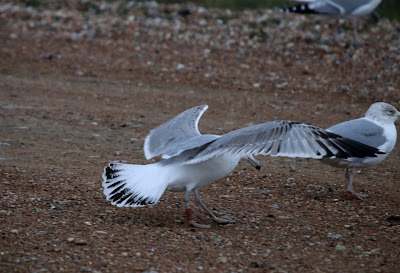 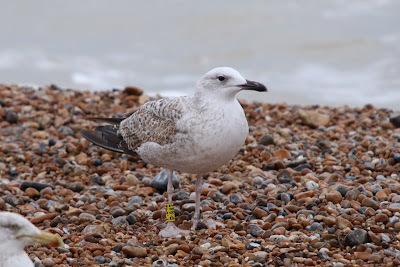 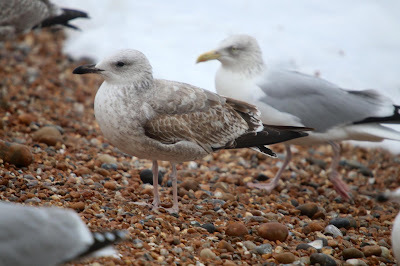 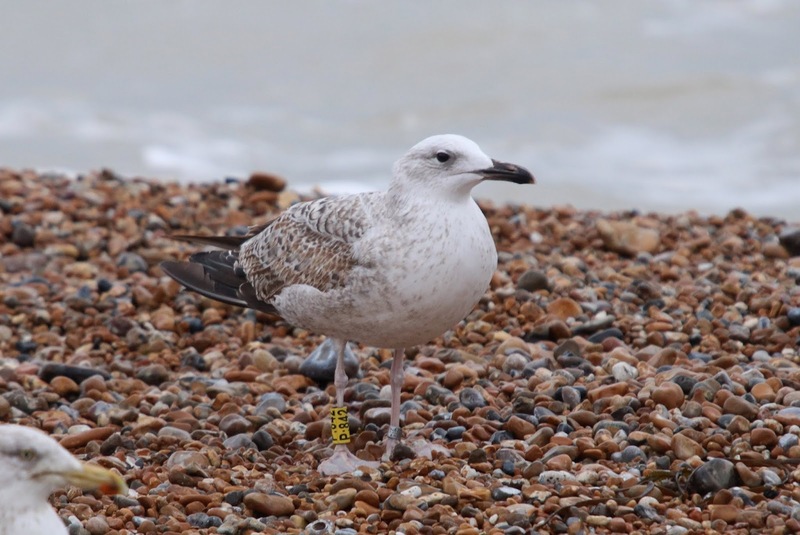 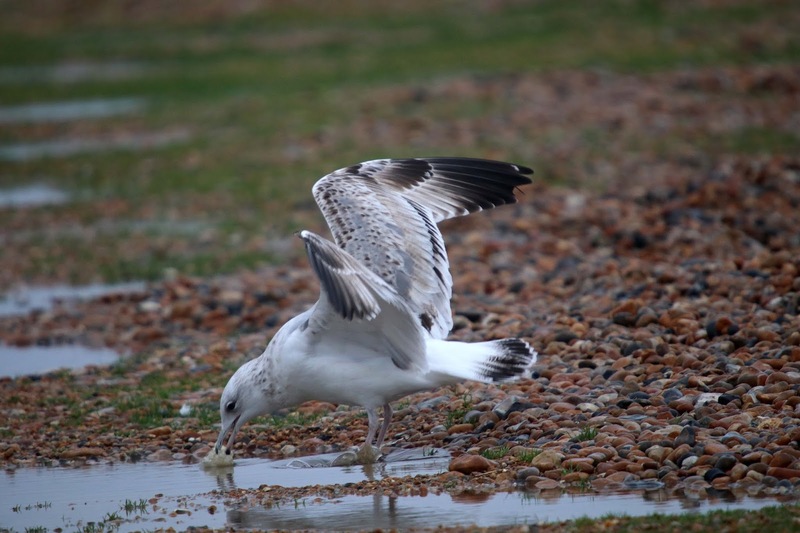 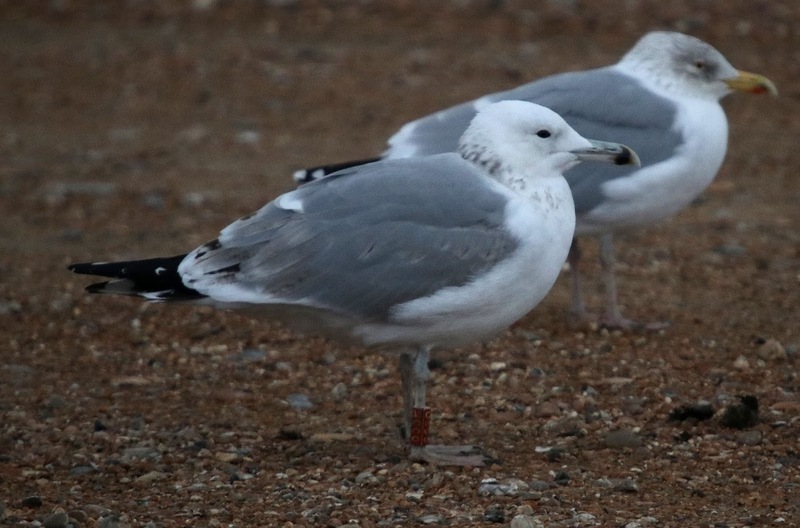 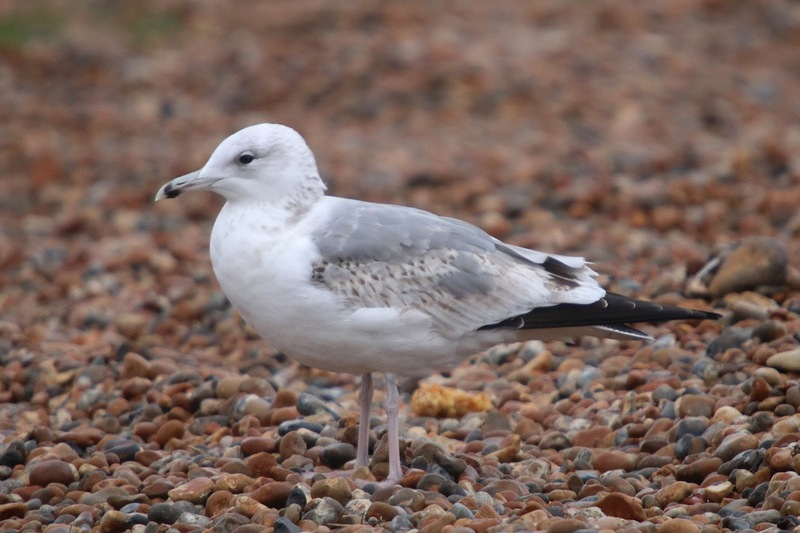 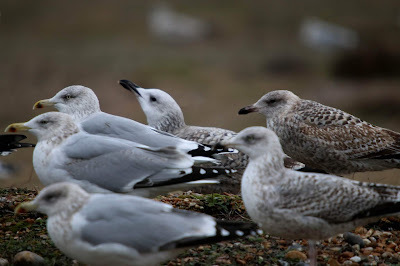 Three Caspian Gulls were seen at the Point with two first-winters and a Polish colour-ringed third-winter individual. 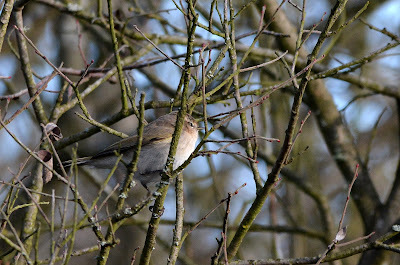 A couple of Firecrests and a Bullfinch were seen in the trapping area. Wearing a polish colour-ring 858P. Photos taken in dismal light.